Wenger can't deliver "the next Messi" this January | The Transfer Tavern | Where football transfer rumours fly or die! In news that has caused our pints to be placed down and heated debate to rage here at the Football Transfer Tavern are claims in the Daily Mail made by Arsenal boss Arsene Wenger as the January transfer window heats up. 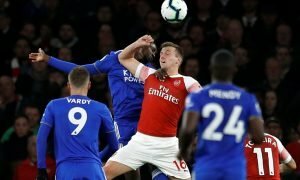 Wenger has remained defiant as fans have already seen Demba Ba slip through the net to rivals Chelsea after heavy speculation linking the Senegalese international to the Emirates Stadium this January. In an outburst, Wenger claimed that fans expected him to find “the next Messi” and that the pressure in the transfer window was intense. In what seemed an interview where Wenger defended himself and his transfer dealings or lack thereof, he also claimed that missing out on Swansea City striker Michu was not his fault as you need “deep knowledge of the market in Spain” to find a gem like that. As our landlord quips, quite what he is paying his scouts to do then is a mystery to us. Wenger has recently lost out on another long-term transfer target after it was reported this evening that arch rivals Tottenham Hotspur have beaten the Gunners to the signing of Schalke’s Lewis Holtby, who has agreed a transfer in July, subject to a medical. 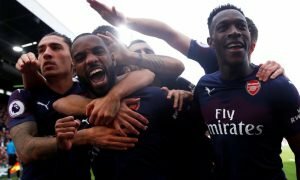 Is Wenger making excuses? Who should he target now? Vote in our polls below.